Another exciting condo building for Edgewater . Related’s new condo project is called Biscayne Beach. 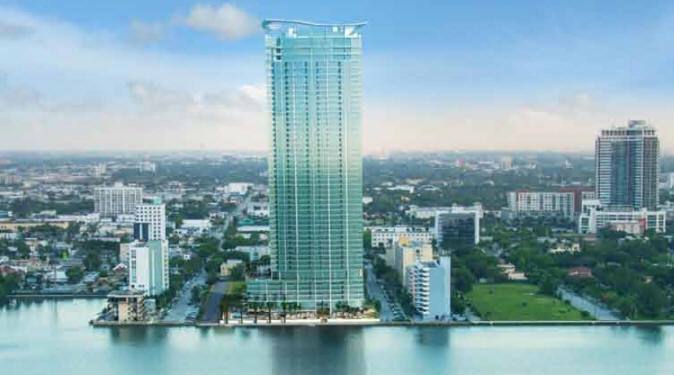 It’s a 399 unit, 51-story tower to be built east of Miami’s Edgewater district. And the best part of this bay-front condo is that it will have its own private beach! Biscayne Beach will be built on 29th Street, just north of ICON Bay. It offers 1, 2, 3 and 4 bedroom units, with an estimated starting price of $400,000. Reservation are being taken now with 10% and 40 units have already been sold.